If you find you are not going to use a lab or cart you have signed up for PLEASE REMOVE YOUR NAME FROM THE SIGN-UP SHEETS. This helps us keep track of where the equipment is located and it allows other teachers access. Carts are not generally delivered to your classroom. If you are signed up to use a cart you can send students to the media center to collect them for you. Make sure students know which cart they are collecting, and to come to the circulation desk to request carts. When carts are returned to the media center, tell students to leave the carts in the hallway outside of the media center near the doors that are labeled for cart return and then they should enter the media center to tell someone at the circulation desk that the cart has been returned. If you are unable to return carts before 2:30, keep them in your room overnight. Make sure the carts are secured (iPad keys can go under the rubber mat on top of the cart) and plug the cart in so it can charge overnight. No need to email me to let me know where the carts are as long as your name is on the sign-up sheet as the last person to have used the cart. The alphabetical laptop carts all have padlocks (contact either Toni or Jose for the combination). 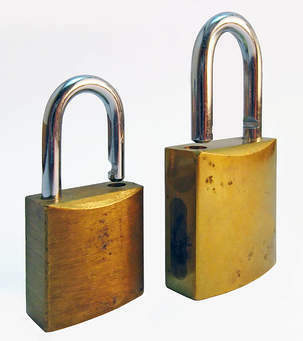 Once the correct combination has been entered, the locks require a good jerk up and then down before they will open. If you do not see the key when you get an iPad cart, look under the rubber mat on top of the cart. Numerical carts are not locked. If you are having trouble getting the door open, make sure you are trying to open the front door and not the back. IT IS THE TEACHER'S RESPONSIBILITY to insure that all laptops are powered off, placed on the correct shelf and plugged in for charging INSIDE the cart before the doors of the cart are closed and the cart moved to another location. We do not check inside the carts when they are returned to the media center for charging at the end of the day and failure to follow this routine can result in another teacher's lesson plan being ruined because the laptops did not get charged overnight. You should not need to plug in carts while they are being used in your classroom, but sometimes you may find it necessary to do so. Especially now that the batteries are aging and are not always able to keep a charge for the full school day. 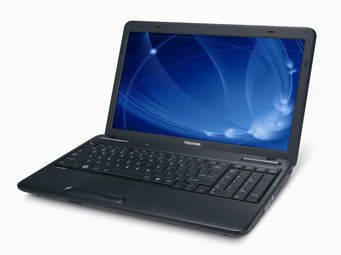 Failure to log in is often caused by the last person using the laptop not completely logging off/shutting down the computer. Usually this can be resolved by completely shutting off the computer (which also logs off the last user) and restarting it. 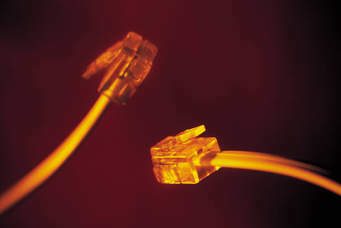 Another solution is plugging the laptop directly into a network port using an Ethernet cord (several spots in the media center are reserved for this if you do not have one available in your classroom). Also, check that the WiFi has not been turned off and that the laptop is not in Airplane Mode (this can be checked even if the laptop is not logged in). If you still cannot get the laptop to log in, submit a helpdesk ticket at helpdesk.troy.k12.mi.us. NO ONE EVER SEES THE POST-IT NOTES YOU ATTACH TO THE LAPTOP BEFORE RETURNING IT TO THE CART! Computer labs should all have 30 working desktops. Lab doors should be kept locked when not being used by a class to prevent vandalism. Your room key or bathroom key should unlock the lab doors.